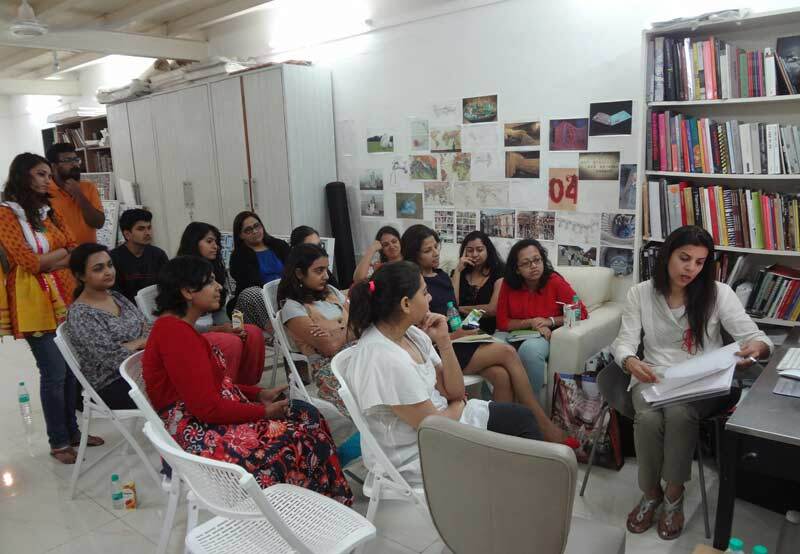 The Post-graduate Diploma in Modern and Contemporary Indian Art and Curatorial Studies was begun in 2012 in response to the need for an academic course in Art History and Curatorial Studies in Mumbai. With a view to developing the pedagogy in this area, the year-long, weekend course covers the theoretical and critical study of the history of Indian Art from 1850 to the present. It enables students to understand Indian art in the broader context of Indian history, sociology, politics, gender and cultural studies. The course further explores new readings of Indian Art within the context of international modern and contemporary art history. 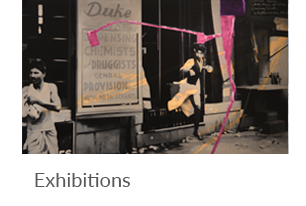 From January 2014 the Museum introduced a new Curatorial Studies segment in the course programme. The new format helps participants engage with concepts associated with new curatorial practice as well as provide students with hands-on exhibition and conservation experience using the Museum as a resource. 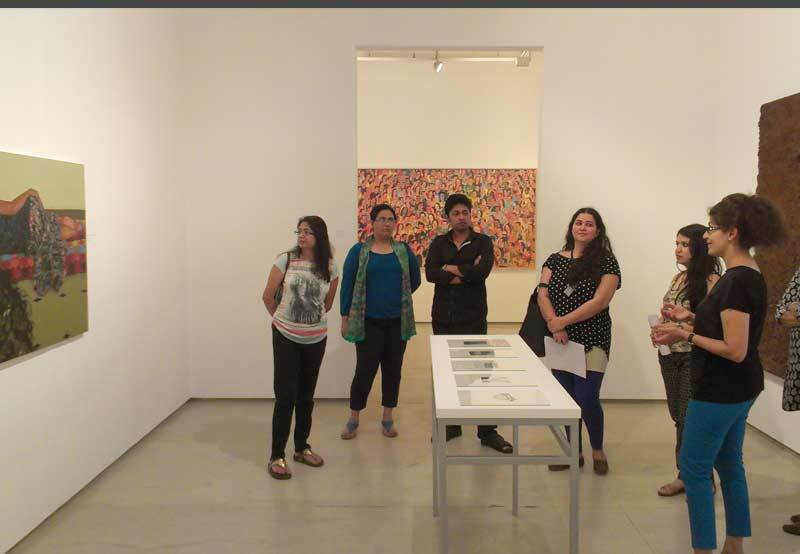 The course includes visits to Mumbai’s premier art galleries, museums and artist studios every Saturday afternoon. These visits have received tremendous support from galleries and artists who schedule special viewings of works and conversations with artists or curators. The visits allow our students the opportunity to interact with professionals in the field and participate in on-site debates and discussions. Lectures will be conducted on Friday from 6 to 8 pm, Saturday and Sunday morning from 10.30 am to 1 pm. Additionally on Saturday afternoons a gallery / studio visit is organised as part of the segment, followed by a public lecture on Saturday evening. If the faculty would like to extend the sessions for some segments to include mornings / afternoons / early evenings, the Museum will accommodate the same. Students will be informed in advance by the Course Coordinator. If additional sessions on weekdays are required for some modules, evening hours from 4-7 pm on Thursdays will be considered. This is subject to availability of the classroom and other educational / recreational programming activities at the Museum. International faculty is encouraged to plan 4 day sessions for modules taught by them. In order to accommodate their visit and avail of the maximum teaching opportunity, these modules may be non-negotiable in terms of the schedule and timings. 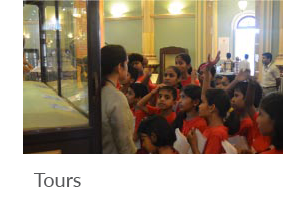 The Museum will try and facilitate students’ desired timings as and where possible. In addition to a national and internationally renowned faculty, visiting scholars at partner institutions like the School of Art and Aesthetics, JNU, Delhi will be invited as a resource for relevant modules and lectures. Critics, Artists, Curators will also be invited to contribute to the related modules. 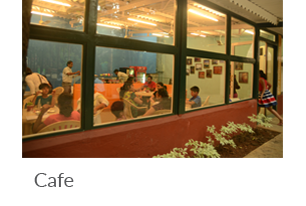 The Museum offers 3 additional options to audit the Course as Observer-Status. Please Note: Availing these options will not include a certificate at the end of the Course. A certificate will be awarded only if the Course has been completed in its entirety along with attendance/term papers/assignments/portfolio, etc. 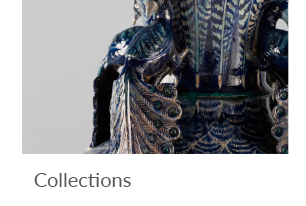 The Curatorial Studies module is only available to full time students. Why a Course of Modern & Contemporary Indian Art? In India, academic courses in Art History and Modern and Visual Art/Culture are offered in New Delhi, Kolkata, Bengaluru and Vadodara. Unfortunately, there is no equivalent course offered in Mumbai covering similar content. Mumbai is one of the most important cities for the production of Contemporary Art. It is the city that gave birth to the Indian Modern Art movement. 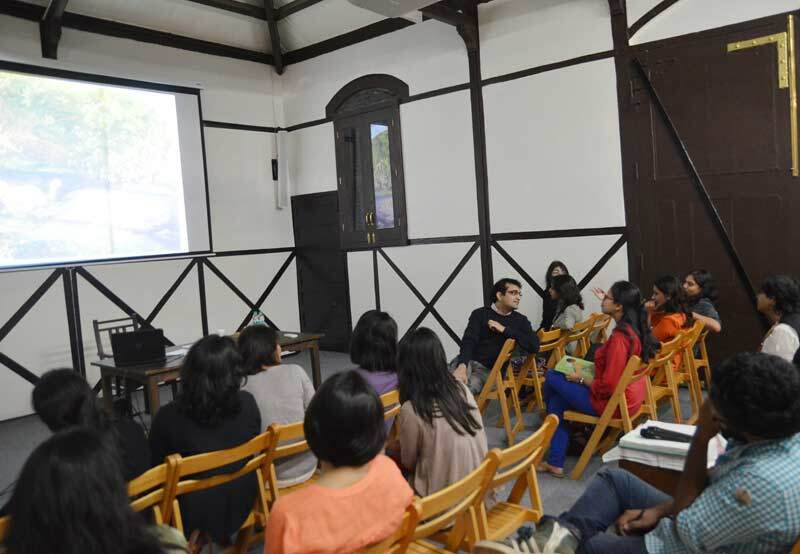 In response to this lacuna and with a view to developing the pedagogy in this area, the Dr. Bhau Daji Lad Museum offers a 1 year PG Diploma course in ‘Modern & Contemporary Indian Art and Curatorial Studies’. The course covers the theoretical and critical study of the history of Indian Art from 1850 to the present. It aims to allow the students to understand Indian art in the broader context of history, sociology, politics, gender and cultural studies. It also aims to allow new readings of Indian Art within the context of international modern and contemporary art history. A new Curatorial Studies segment aims to help participants engage with concepts associated with new curatorial practice as well as provide students with hands-on exhibition and conservation experience using the Museum as a resource. Multiple perspectives and readings will be encouraged through a range of research methods that combine a multitude of approaches. The diploma program will be taught by acclaimed Indian and International Academic Faculty. 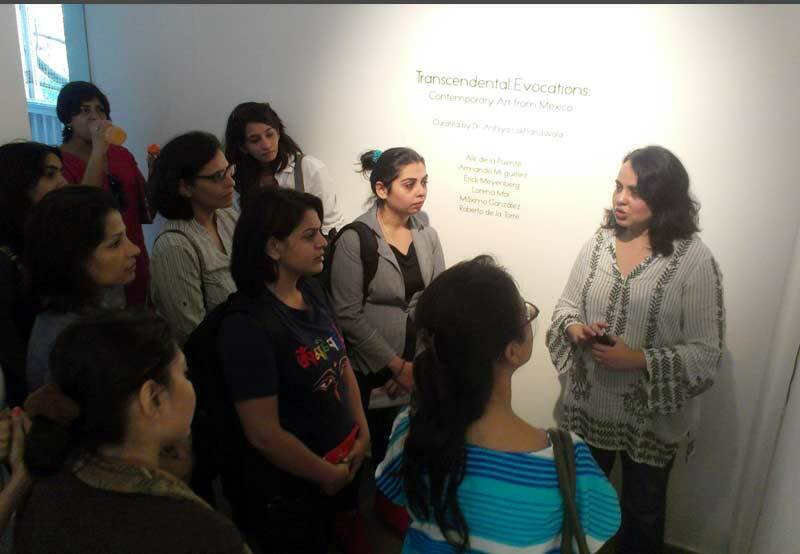 The course aims to offer lectures and seminars by visiting scholars and artists from across the world, visits to exhibitions in Mumbai’s premier art galleries, field trips to museums and artist studios as relevant to the course material. 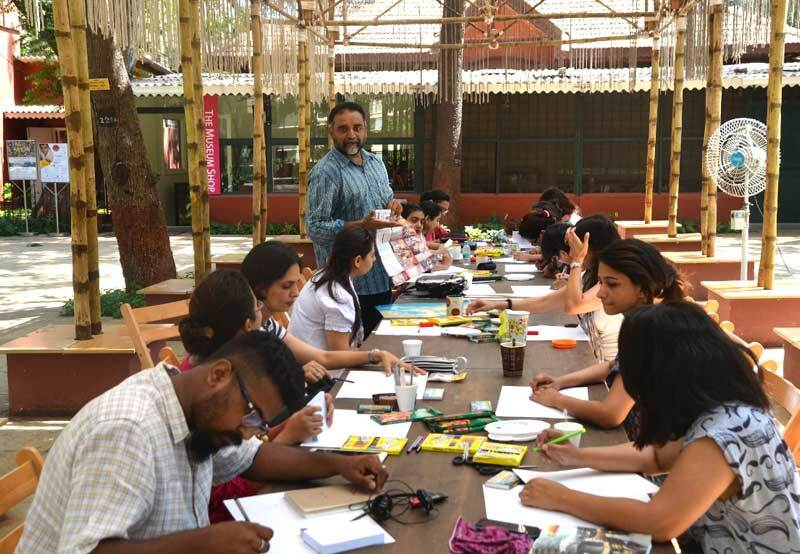 The course will give students an excellent grounding in the development of the modern aesthetic sensibility in Indian and related artistic practices. The course will enable students to seek avenues of employment in various art and cultural institutions and benefit the cultural industry with trained specialists as Curators, Exhibition Managers, Museum Curators, Art Historians, Art Conservators, Art Critics, Art Writers, Art Educators and Arts Managers. It aims to create an effective knowledge base for the participants and establish linkages with the market and institutions to enable successful placements. Several business houses and fund managers are increasingly engaging with contemporary art as a form of investment. This course will provide an opportunity for informed decisions towards collecting and investing in Art for those already engaged in this area. REGISTRATION DEADLINE : Saturday, 1 December, 2018 Registration: Completed forms along with the required documents can be emailed to education@bdlmuseum.org or submitted to the Museum office on or before 1 December, 2018. EARLY BIRD OFFER : Avail a 10% waiver on total fees for sign-ups on or before 1 October 2018. Only shortlisted candidates will be called for an interview. The decision of the Academic Council will be considered final. On selection the candidate will deposit Rs. 10,000/- within a week. The balance fees will have to be paid by 1 January 2019. All payment of fees are to be made either by A/C payee cheques or Demand Drafts only favouring ‘Dr. 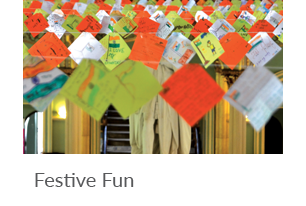 Bhau Daji Lad Museum Trust’. i. Certificates & transcripts of all relevant academic qualifications. Please carry originals of all submitted documents for the interview. A candidate is eligible for admission to the PG Diploma Course in MCIACS if they have a BA Degree in Archaeology/Art History/Anthropology/Ancient Indian Culture/Literature/Sociology/Political Science/History/Philosophy/Liberal Arts/Psychology with a minimum Second Class grade. Students with a degree in Commerce/Business/Polytechnic/Science and subjects other than those mentioned above will have to demonstrate special interest/work experience in the Arts/ Art History to be eligible. Students of Design Studies are also eligible for admission. This is a part-time weekend Course structured to be accessible to working students & adults. The duration of the course will be 1 year divided into 2 semesters. Extra sessions on weekday evenings may be scheduled as necessary. Additional time for lectures/sessions/ special modules should be considered when applying for the Course. Professor at the Department of English, Faculty of Arts, MS University, Vadodara. 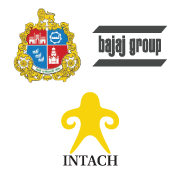 DeepthaAcharstudied English Language and Literature at Bangalore University, Karnataka, and Central Institute of English and Foreign Languages, Hyderabad. Her recent publications include Discourse, Democracy and Difference: Perspectives on Community, Politics and Culture (2010) and Articulating Resistance: Art and Activism (2012). Her research interests include visual culture and childhood studies. Nancy Adajania is an independent curator and cultural theorist based in Mumbai. She was educated in political science, social communications media, and film. She has written and lectured extensively on contemporary Indian art, especially new media art and its political and cultural contexts, at venues such as Documenta 11, Kassel; the Danish Contemporary Art Foundation, Copenhagen; among others. As Editor-in-Chief of Art India (2000-2002), Nancy developed a discursive space for emergent new-media and interactive public art practices and social projects on a global level. Nancy’s essays have appeared in numerous books and anthologies, including The Sand of the Coliseum, The Glare of Television, and the Hope of Emancipation in Documenta Magazine (2007) and The Logic of Birds: Points of Departure for Indian Women Artists in Tiger by the Tail: Women Artists of India, Transforming Culture (2007), among others. Adajania is the editor of Shilpa Gupta (2010). Nancy co-curated Zoom! Art in Contemporary India (2004) and has curated Avatars of the Object: Sculptural Projections (2006) and The Landscapes of Where (2009). Naman Ahuja is Associate Professor of Art and Architecture of Ancient India at JNU, New Delhi. He completed his PhD at the School of Oriental and African Studies (SOAS), London University. Until 2004, he was a Fellow at the Ashmolean Museum, Oxford, where he authored a catalogue of the Museum’s collection of Ancient Indian antiquities. He is a regular contributor to various International scholarly journals and the recipient of several international grants and awards and has lectured widely across the world. Some of his publications include Divine Presence, the Arts of India and theHimalayas (2003), Ramkinkar: Through the Eyes of Devi Prasad (2007), and The Making of the Modern Indian Artist – Craftsman: Devi Prasad (2012). His current research interests are in talismanic and apotropaic images from early India, the formation and uses of popular iconography in Ancient India and in Sultanate period painting. Rahaab Allana is Curator of the Alkazi Foundation for the Arts, New Delhi, where he has curated and co-curated exhibitions with essays over the last 4 years. He is also a Fellow of the Royal Asiatic Society in London. He had an early engagement with art as an assistant at the National Gallery of Modern Art, New Delhi in 2001, working on one of India’s first exhibitions of Picasso, entitled Metamorphoses. Allana is a graduate in Art History/Archaeology (M.A.) from School of Oriental and African Studies, London, and he is the author of Inherited Spaces, Inhabited Places (2005), a volume on World Heritage Sites. He is the Guest Editor of Marg Volume 61: Aperture and Identity—Early Photography in India(2009), and currently guest editing the India Photography Reader, Vol. 1, entitled Movements. Allana recently traveled on a grant to France, to all the primary photo-museums to pursue inter-cultural activities for the Alkazi Foundation in the future. Dr. Shridhar Andhare is a former curator of paintings at Chhatrapati Shivaji Vastu Sangralaya (Prince of Wales Museum), Mumbai; former director of Lalbhai Dalpatbhai Museum, Ahmedabad; and honorary director of NC Mehta Gallery, Ahmedabad. He specializes in the history of Indian miniature painting, museum installation, and restoration of paintings. He is the author of The Chronology of Mewar Paintings (1987), Deogarh Painting (1977), Bundi Painting (1971), Styles, Substyles and Thikanas (Marg Special Issue in Press) (2013/2014) and A Catalogue of Miniature Paintings of Sanjay Sharma Museum, Jaipur (also in press). In addition to this, a number of articles on Jain Art have been published in Indian and international books. Dr. Rupert Richard Arrowsmith is an art historian who divides his time between Asia and Europe. He has written numerous articles and books on the relationships between global cultures, especially the influence of Indian and East Asian visual culture on modern art and modern literature in the West.Modernism and the Museum: Asian, African, and Pacific Art and the London Avant-Garde (OUP, 2011) remains his best-known work on this topic. He regularly visits India, and has a particular interest in the Goan painter Angelo da Fonseca. He currently lives in Myanmar, where his experiences in Buddhist monasteries have been widely documented in the international press. His next book, a critical first edition of William Empson’s The Face of the Buddha, will be published shortly by OUP, and he is currently working on a book about Myanmar. Mortimer Chatterjee received his Masters in the History of Indian Art and Architecture from the School of Oriental and African Studies, London. Having worked in London with an important collection of Indian photography as well as Christie’s auction house, Chatterjee moved to India to pursue his interest in Indian modern and contemporary art. He is a partner in Chatterjee & Lal which is today considered a leading gallery for the promoting of both younger artists and historical material. Over the last decade he has been responsible for maintaining major art collections including the Taj Group. His recent projects have included a co-authored publication on the art collection of the Tata Institute of Fundamental Research along with an exhibition of that collection at the National Gallery of Modern Art, Mumbai. Dr. Saryu Doshi is an Art Historian, Research Scholar, Editor and Curator. Dr. Doshi began her prolific career as a distinguished contributor to art and culture as a visiting professor at the University of Michigan, USA in the late 1970’s. She also taught art history and culture at the University of Pune and University of California, USA. She was appointed as an honorary director of National Gallery of Modern Art at its inception in Mumbai, during which Dr. Doshi curated 13 successful exhibitions establishing a legacy of highly revered stature that NGMA has acquired. She has delivered several lectures and seminars for esteemed academic institutions, museums and cultural organizations nationally and internationally, to be specific in USA, Europe, China, South Africa, Botswana, Egypt, Mauritius and Oman. She has authored and co-authored several books and published many academic articles promoting Indian art and culture. While her research focuses in this field she is deeply involved in theatre, dance, cinema and photography. Dr. Doshi’s contribution to arts and culture is highly invaluable for which she was conferred with the ‘Padma Shree’ award in 1998. Dr. Annapurna Garimella is a Bengaluru-based designer and art historian, with an interest in the art and architecture of India. She is the Managing Director at Jackfruit Research & Design Pvt. Ltd., a research and design organization. She is also the managing trustee of Art, Resources and Teaching (ART) Trust, a not-for-profit organization that gathers resources and promotes research and teaching in art and architectural history, archaeology, crafts, design, and other related disciplines. She is currently on the board of the S N School of Art and Communication, University of Hyderabad. Ranjit Hoskote is a contemporary Indian poet, art critic, cultural theorist and independent curator. Hoskote was an art critic and cultural commentator, as well as a senior editor, with The Hindu, from 2000 to 2007 and was principal art critic for The Times of India, Bombay, from 1988 to 1999.Hoskote has authored a critical biography as well as a major retrospective study of the painter Jehangir Sabavala, and also monographs on the artists Tyeb Mehta, Sudhir Patwardhan, Baiju Parthan, Bharti Kher and Iranna GR. He has written major essays on other leading Indian artists and monographic essays on the Berlin-based artists Dolores Zinny and Juan Maidagan. Hoskote has independently conceived and organised twenty exhibitions of contemporary Indian as well as international art since 1994. He was co-curator of the 7th Gwangju Biennale (2008) in South Korea, collaborating on this project with Okwui Enwezor and Hyunjin Kim. In collaboration with Nancy Adajania, Hoskote is in the process of developing a new journal of critical inquiry in the visual arts particularly focusing on transcultural artistic practice and its various undercurrents bringing forth the radical transformations that have taken place in the current global art world and its relationship with regional art histories. Dr. Jyotindra Jain is an art and cultural historian and museologist. He studied Cultural Anthropology, Indian Studies and Ancient Indian History in Mumbai and Vienna, where he completed his doctoral dissertation in 1972. Dr. Jain is Director and Managing Trustee of CIViC: Centre for Indian Visual Culture, New Delhi.Hehas been an Alexander-von-Humboldt Fellow, a Homi Bhabha Fellow and a Visiting Professor at the Center for the Study for World Religions, Harvard University, USA. His teaching and research encompass the entire breadth of folk and tribal art, Indian popular visual culture, ritual dynamics and cultural institutions of the 19th and 20th centuries. He has published a number of books on Indian folk art, including Ganga Devi: Tradition and Expression in Mithila Painting(1996), Other Masters: Five Contemporary Folk and Tribal Artists of India(1998), Kalighat Painting: Images from a Changing World(1999) and Indian Popular Culture: ‘The Conquest of the World as Picture’ (2004). Suresh Jayram is an artist, art historian, arts administrator and curator from Bengaluru. He is the Founder, Director of Visual Art Collective/1.Shanthi Road Studio an international artist’s residency and alternative art space in Bangalore, India. He is currently involved in art practice, urban mapping, archiving, curation and arts education. His keen interest in environmental and urban developmental issues influences his work. He taught Art History at Karnataka Chitrakala Parishat, the College of Fine Arts in Bengaluru from 1993 to 2007 and was also its Principal. He has most recently been the Curator for Colombo Art Biennale 2012, as well as the curator of Krumbiegel Project(2011), a public history/art project that included research, documentation and exhibition that looked at the life of Gustav Herman Krumbiegel, a German horticulturist and urban planner of significance in South India. Dr. Deepak Kannal is a practicing sculptor and an Art Historian. He has a number of National level awards, scholarships, distinctions including the Charles Wallace fellowship (for his post doctoral project at Cambridge UK) and a long list of Publications to his credit. He has delivered series of lectures for prestigious institutes in India, US and UK and was invited on chairs instituted by various Universities. He taught in the Dept. of Art History and Aesthetics and also was the Head of the Department and the Dean of the Faculty of Fine Arts, Maharaja Sayajirao University, Vadodara. R. Siva Kumar is an art historian and curator. He is Professor of Art History at Kala Bhavana, Visva Bharati, Santiniketan. He has written extensively on modern Indian Art and is the author of more than ten books. He has edited Rabindra Chitravali, a four-volume compilation of Rabindranath’s paintings and is the curator of the exhibition of his paintings that is travelling to eight major museums of the world to mark the 150th birth anniversary of Rabindranath Tagore. Dr. Arshiya Lokhandwala is an independent curator and art historian and founder and curator of Lakeeren Art Gallery, Mumbai. She completed her PhD at Cornell University, USA, and was awarded the Charles Wallace India Trust Award in 2001, towards an M.A. in Creative Curating, at Goldsmiths College, London. She was also selected as one of the participants at the Documenta 11 Education programme in Kassel, Germany, in 2002. She curated Rites/ Rights/Rewrites: Women’s Video Art, which travelled to Cornell, Duke, and Rutgers Universities from 2003 to 2006. In 2006, she curated a performance by Monali Meher, Between the Familiar/Unfamiliar, The Home and Heart, Beats a Golden Kiss, at the Tate Modern, London. Dr. Sanjoy Kumar Mallik is currently Associate Professor and HOD, Dept. of History of Art, Kala Bhavana, Visva Bharati, Santiniketan. He followed up a graduation in Painting from Visva Bharati with post-graduate and doctoral studies in Art History from the MS University, Baroda. While his Master’s-level dissertation analysed the pictorial language of the 18th century Malwa miniatures, his Doctoral thesis addressed the shifts in early modern practices in the 1940s in Bengal. His recent projects include a retrospective exhibition of the artist Chittaprosad, at the DAG, New Delhi (2012), which saw the release of a comprehensive, thoroughly researched and well-documented five-volume publication, and a curated exhibition, with a monograph, on the works of Gopal Ghose, at the NGMA, New Delhi (2013). Dilnavaz Mehta has a M.Sc degree in Microbiology and a diploma in Indian Aesthetics. She studied the languages of Avesta and Pahlavi and has been spearheading a trust fund for the appreciation and dissemination of Zoroastrian history, religion and culture within the community for the last twelve years. She has been a trustee and is presently the Jt. Secretary of the J. N. Petit Reading Room and Library. She has extensively researched and studied antiquarian books, maps, prints, paintings, drawings published in and on India from the sixteenth century till the early twentieth century. 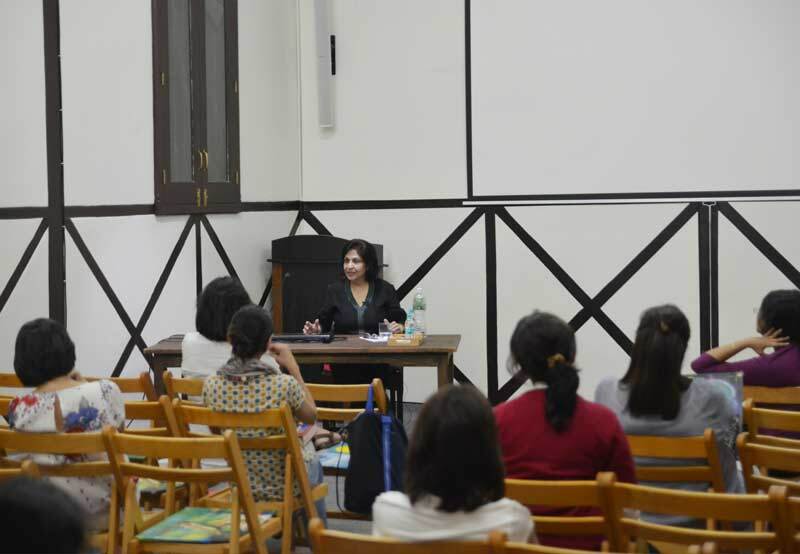 She has given presentations and lectures as well as authored articles for magazines, travel journals and art publications and is a visiting lecturer for post graduate studies in Indian aesthetics. Tasneem Zakaria Mehta is the Managing Trustee and Honorary Director, Dr. Bhau Daji Lad Museum, Mumbai, and Vice Chairman and Convenor, Mumbai, INTACH. She is an art historian, writer, curator and designer. She has studied Fine Arts and Design at the Sir J. J. School of Art, Mumbai, a Liberal Arts degree at Columbia University, New York, a PG degree in the History of Modern Art from Christies London, a Masters in English from Delhi University and worked on research towards a PhD on the establishment of museums and schools of art in the 19th century, at the JNU, New Delhi. She is a member of the Advisory Board of NGMA, member of the Governing Council, Salar Jung Museum, Hyderabad and chairs jury for Skoda Prize for Contemporary Art. Harvard University selected her as a woman achiever for their Star Women Project, 2009. Dr. Partha Mitter is Research Professor of History of Art at the University of Sussex, Brighton. He is the author of Much Maligned Monsters: A History of European Reactions to Indian Art (Clarendon Press, 1977); Art and Nationalism in Colonial India 1850-1922: Occidental Orientations (Cambridge University Press, 1994) and Indian Art (Oxford University Press, 2002). At the Clark Institute, Williamstown, Mitter will complete his monograph Modernity, Art, and Nationalism in India 1922-1947, a project culminating five years of research to address global modernism, colonial ideology, art historical canons, and the construction of identity by non-western nations with particular reference to India. Dr. Parul Dave-Mukherji is professor at the School of Arts and Aesthetics, Jawaharlal Nehru University, New Delhi, India. She holds a PhD in Indology from Oxford University. Her publications includeTowards A New Art History: Studies in Indian Art (co-edited), New Delhi, 2003 and guest edited special issue on Visual Culture of the Journal of Contemporary Thought , 17 (Summer 2003); Rethinking Modernity, (co-edited) New Delhi, 2005. Her recent publications include InFlux- Contemporary Art in Asia, (co-edited) New Delhi, Sage, 2013 and forthcoming 20th Century Indian Art, Skira (co-edited with Partha Mitter and Rakhee Balaram). Her research interests include global art history, contemporary Asian art and comparative aesthetics. Prof. Ratan Parimoo is a noted art teacher, painter, historian and critic who has specialised in traditional and contemporary arts of India. He was Head of the Department of Art History and Aesthetics from 1966 to 1991 at the Maharaja Sayajirao University, Vadodara, and was instrumental in setting up the Department’s Archive. As a Commonwealth scholar, Prof. Parimoo studied History of European Art at the Courtauld Institute of Art, University of London (1960-63). He received the Rockfeller Grant to study in the USA in 1974. He was invited to participate in the twenty-third World Congress of the International Society of Education through Art held in Australia in 1968. He is the editor of the encyclopaedic critical anthology, Creative Arts in Modern India. In 2010 he editedHistorical Development of Contemporary Indian Art 1880-1947. His publications include Paintings of the Three Tagores: Abanindranath, Gaganendranath and Rabindranath; Studies in Modern Indian Art;Sculptures of Sheshasayi Vishnu; and Essays on New Art History: Studies in Indian Sculpture. He is currently the Director of the L.D. Museum, and N. C. Mehta Gallery, Ahmedabad. Johan Pijnappel is a Dutch art historian and curator who has specialised in video and new media art in Asia. He has studied Art History, Philosophy, Museology and Classical Archaeology at the Leiden University. In the early eighties he began research on digital arts for which he became more known internationally through his publications for Academy Editions London such as World Wide Video(1993) and Art & Technology (1994). In the second half of the nineties he was co-curator of the World Wide Video Festival in Amsterdam. In 1997, Johan turned his focus to Asia, curating a number of exhibitions solely on Indian and Chinese video art in Amsterdam, Mumbai, New Delhi, Seoul, Brisbane and Beijing. His curatorial projects include Indian Video Art: History in Motion (2004), CC: Crossing Currents-Video Art and Cultural Identity (2004), The Third Seoul International Media Art Biennale (2004/5) and the video art programme of the New Narratives: Contemporary Art from India(2008). From 2004 till 2013 Johan has been member of the curatorial project MOVE ON ASIA, at Gallery Loop in Seoul, whose annual exhibitions have been shown widely outside South Korea to places such as Tate Modern/London (2012), ZKM/Karlsruhe (2013). Ram Rahman is a photographer and activist. He initially studied physics at the Massachusetts Institute of Technology, and later completed a degree in Graphic Design from Yale University School of Art in 1979. His most recent solo shows include, Bioscope: Scenes from an Eventful Life presented by Bodhi Art in 2008 and Visions of India: Photographs by Ram Rahman at the Cleveland Museum of Art in 2002. Amongst the shows Rahman has curated are Heat: Moving Pictures Visions, Phantasms and Nightmares at Bose Pacia in 2003 and Noor Devyani Krishna, A Retrospective at the National Gallery of Modern Art in 2000. Rahman is one of the founding members of the Safdar Hashmi Memorial Trust (SAHMAT) in New Delhi, a leader in the resistance to communal and sectarian forces in India through its public cultural action. The artist lives and works in New Delhi. Ashish Rajadhyaksha is a film and cultural theorist. He is a Senior Fellow at the Centre for the Study of Culture & Society, Bangalore. He is the co-author of the Encyclopedia of Indian Cinema and author of Indian Cinema in the Time of Celluloid: From Bollywood to the Emergency. He co-curated (with Geeta Kapur) the show Bombay/Mumbai 1992-2001, part of the Tate Modern’s Century City: Art and Culture in the Modern Metropolis in 2001. Ashish was the curator for the West heavens Film event in Beijing, You Don’t Belong: Pasts and Futures of the Indian Cinema in November-December 2011. He has published widely on cinema and contemporary art, and presented papers on these topics in conferences across the world. He was a Jury member for National Film Awards (Feature Films), New Delhi, 1995; and a Selection Committee Member for First Festival of Short and Documentary Films, Bombay, 1990. Santhosh Sadanand is an Assistant Professor at the School of Culture and Creative Expressions, Ambedkar University, New Delhi. He has previously taught at the School of Arts and Aesthetics at JNU, as well as at the Department of Art History and Aesthetics, Faculty of Fine Arts, M.S.U, Vadodara from where he completed his post-graduation in Art Criticism. He is a regular contributor of research articles to various publications, as also catalogue essays on artists like K.P. Reji, Savi Sawarkar, T.V. Santhosh, and Zakkir Hussain, among others. He works extensively in the field of critical historiography of Indian art historical studies and cultural practices in relation to minoritarian politics. He has co-coordinated national seminars on Cultural Practice and Discourses of the ‘Minor’(2007) and The World, the Text and the Critic: Re-Membering Edward W. Said (2003) at M.S.U, Vadodara. 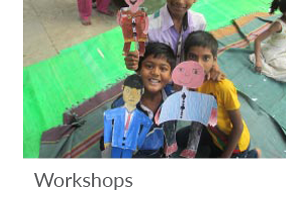 He is also one of the Project Directors of The Curatorship Programme (2010-2013), a series of five traveling workshops and a colloquium on curation, which is an initiative of India Foundation for the Arts, Bangalore, India. Abhay Sardesai has been the Editor of ART India, the premier art magazine of India, since November 2002. Under his editorship, the magazine has developed a Culture Studies-oriented approach and has become more inter-disciplinary in its theme-based explorations. He has been a Visiting Faculty in Aesthetics at the Department of English, University of Mumbai, and has also been the Chair of Humanities, Kamla Raheja Vidyanidhi Institute of Architecture, Mumbai. He teaches at the Smt. 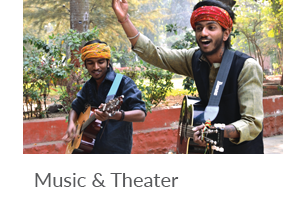 P. N. Doshi Women’s College of Arts and also at various other institutions like Jnanapravaha and TISS. He has written widely on Art and Literature and read from his work at various places including the University of Princeton, University of Cambridge, Mumbai University, S.N.D.T. University, Sarai and NGMA. Shukla Sawant is a visual artist and currently Professor of Visual Studies at the School of Arts and Aesthetics, Jawaharlal Nehru University, New Delhi. Sawant works with photography, installation, and printmaking and her theoretical interests extend to writing on contemporary art. She has lectured extensively in various institutions and has been actively associated with artists’ initiatives. Her research interests include Contemporary Art and Art in Colonial India. She has been a Commonwealth Scholar at the University of London and studied at the Ecole Des Beaux Arts Paris. She recently contributed articles on Sultan Ali, Sanat Kar, Chittoprasad, among others, to the Delhi Art Gallery catalogue Manifestationsi (2004). She has participated in artist residencies at Braziers College, Oxford U.K. (Triangle Arts Trust) Khoj Workshop, Modinagar, Began Grond Residency, Utrecht and has had solo exhibitions in London (Harriet Green Gallery), Amsterdam (FIA), Mumbai (Lakereen) and Delhi (Art Inc.). Girish Shahane is an independent writer based in Mumbai. Shahane received a Rhodes scholarship to Oxford University, where he completed his M.Phil in Modern English Literature. He has been Editor of Art India magazine and Director of the Skoda Prize for Contemporary Indian Art. He has lectured and presented papers at venues like the NCPA and NGMA in Mumbai; the Max Mueller Bhavan, Bengaluru; the Tate Modern, London; and the Art Institute, Chicago, and many others. His articles on art, film and cultural politics have been published in leading newspapers and journals in India and abroad. He was Artistic Director of Art Chennai 2014, and has recently been appointed Artistic Director of the India Art Fair, Delhi, 2015. 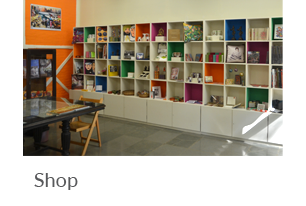 Vidya Shivadas is a curator based in New Delhi. After her Bachelors in Sociology from Delhi University and a Masters in Art Criticism from Faculty of Fine Arts, M S University, Vadodara, she joined Vadehra Art Gallery in 2002, where she has curated several exhibitions. She also worked as a researcher on the Getty-funded study Museology and the Colony being conducted by Jawaharlal Nehru University, New Delhi and University of California, Los Angeles under the guidance of Dr Kavita Singh and Dr Saloni Mathur. In 2007, she was invited by Goethe-Institut and the Education Department of Documenta 12 to participate in the educational programme of Documenta 12 in Kassel, Germany. Shivadas is currently working with Foundation of Indian Contemporary Art (FICA) where her role is to create links between academia and the art market and promote the exchange of knowledge about Indian art through workshops and the establishment of an archive. Dr. Kavita Singh is an art historian and Associate Professor at the School of Arts and Aesthetics, JNU. Her research interests include the history and politics of museum collections, the social history of Indian painting, and the application of narrative theory to art. Her publications include New Insights into Sikh Art (Marg, 2002) and essays in several international and national journals and edited volumes. She has been Research Editor, Marg Publications and Guest Curator, San Diego Museum of Art and Museum Intern at the Asia Society in New York. She was co-curator of Power and Desire: Indian Paintings from the Binney collection, an exhibition of Indian miniature paintings that traveled through the US, Europe and Asia. In 2005 she received a major grant from the Getty Foundation for a collaborative project to study the place of museums in the social landscape of India today. 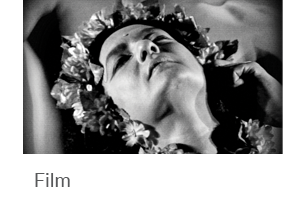 Gayatri Sinha is a critic and curator who works in the domains of gender, lens-based art, and cultural politics. Since 2011, she supports knowledge in the arts through her initiative Critical Collective. She has edited Voices of Change: 20 Indian Artists and Art and Visual Culture in India 1857- 2007, among others. Most recently she has curated exhibitions at Musee Ansembourg and the Grand Curtius, Liege Belgium, Newark Museum and the Minneapolis Institute of Art USA, the Festival of India in Bangladesh. She has written monographs on the artists Krishen Khanna and Himmat Shah and wrote a column for the Indian Express and The Hindu. She has lectured on Indian art at the Hong Kong International Art Fair, Centre Pompidou Paris, TrAIN/University of Arts, Tate Modern, National Museum, Jawaharlal Nehru University, New Delhi, Asian Art Museum, Singapore, etc. Pooja Sood is the Director of KHOJ International Artists’ Association, an autonomous artist led registered society which is committed to experimentation and exchange in the visual arts. 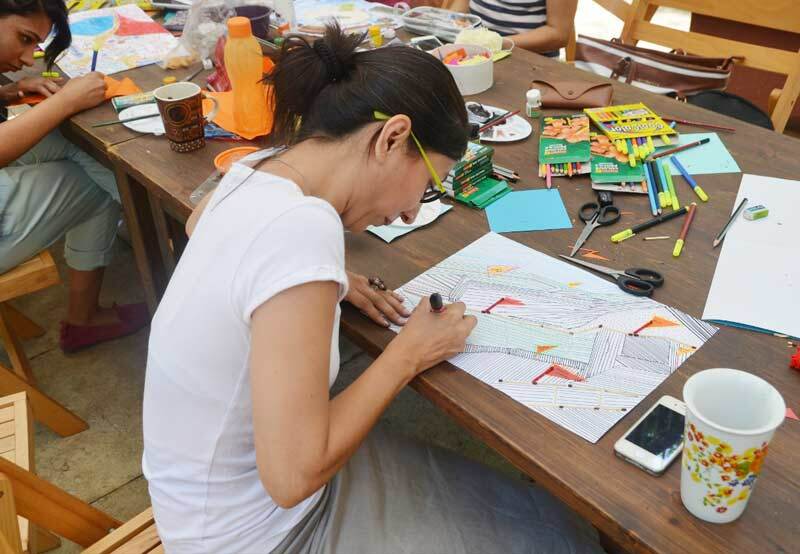 Since 2000, she has researched and facilitated the establishment of the South Asia Network for the Arts (SANA) and is also the Founding Director of the ATSA (ArThinkSouthAsia) programme which is dedicated to capacity building art professionals. Pooja’s contribution has been in the field of curating alternative contemporary art practices as well as exploring different models of collaboration and institution building in contemporary art. As an independent curator, Pooja is currently one of the co-curators for the opening exhibition at the National Museum of Modern and Contemporary Art, Korea. She is the editor of The KHOJ Book: 1997-2007 (2010) and Video Art in India (2003), among others. She is a Chevening Scholar for the Clore Leadership programme, UK (2009-2010). Kaiwan Mehta is a theorist and critic in the fields of visual culture, architecture, and city studies. 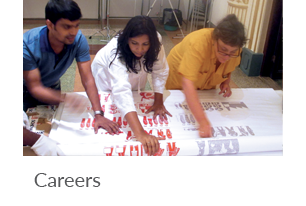 Mehta has studied Architecture (B. Arch), Literature (MA), Indian Aesthetics (PGDip) and Cultural Studies (PhD). In 2017 he completed his doctoral studies at the Centre for the Study of Culture and Society, Bengaluru, Manipal University. He has now published as well as exhibited his research work and ideas internationally. He authored Alice in Bhuleshwar: Navigating a Mumbai Neighbourhood (Yoda Press. New Delhi, 2009) and The Architecture of I M Kadri (Niyogi. New Delhi, 2016). Since March 2012 he has been the Managing Editor of Domus India (Spenta Multimedia). He is also Professor (adjunct) and coordinator of the Doctoral Programme at the Faculty of Architecture, CEPT, Ahmedabad since 2017. He was the Charles Correa Chair professor, Department of Art and Culture, Government of Goa for the academic year 2017-2018. Mehta co-curated with Rahul Mehrotra and Ranjit Hoskote the national exhibition on architecture – “The State of Architecture: Practices and Processes in India” (UDRI, 2016) at the National Gallery Modern Art, Mumbai; and recently curated the exhibition 'State of Housing - Aspirations, Imaginaries, and Realities in India' in February-March 2018. He has been elected as the Jury Chairman for two consecutive terms (2015–17 and 2017–2019) for the international artists’ residency programme across 13 disciplines at the Akademie Schloss Solitude in Stuttgart, Germany. 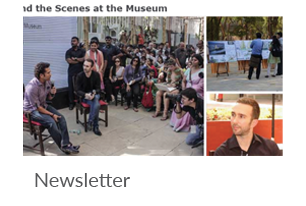 He has been curating the Urban Design and Architecture section of the Kala Ghoda Arts Festival, Mumbai since 2016. Roobina Karode is the Director & Chief Curator at the Kiran Nadar Museum of Art, New Delhi, India. She has post-graduate specializations in Art History and in Education. As an art educator, writer and curator, Karode has contributed to the field for over twenty years. She was involved with the teaching of Art History, both Indian and Western modern art, at various institutions mainly the School of Arts & Aesthetics in JNU, the National Museum Institute, College of Art and the Jamia Millia University in New Delhi. 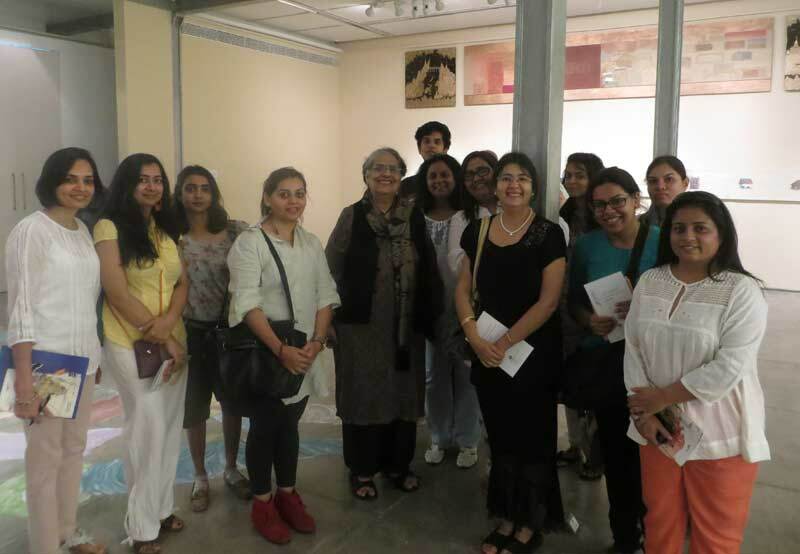 Karode has curated several art exhibitions both within India and abroad including a three-part exhibiion in 2013 titled Difficult Loves with aretrospective on Nasreen Mohamedi : a view to infinity, Amrita Sher-Gil : the self in making and Seven contemporaries ( Sheela Gowda, Bharti Kher, Dayanita Singh, Anita Dube, Sheba Chacchhi, Sonia Khurana and Ranjani Shettar, Is it what you think? Ruminations on Time, Memory and Site, 2014 with 17 contemporary artists, Nasreen Mohamedi: waiting is a part of intense living, 2015 at the Reina Sofia Museum in Spain and co-curated NASREEN MOHAMEDI at the MET Breuer, New York in 2016, Himmat Shah: Hammer on the Square, Retrospective in 2016 at the KNMA. Awarded the Fulbright Fellowship in 2000 and the Ford Teaching Fellowship in 2006-7, she has focused on under-represented artists with extraordinary vision and highly individual practices, whose contribution has been crucial within the discourse of modern and contemporary Indian art. Karode had also co-curated travelling exhibit on seventeen contemporary women artists of India at the Women’s Studies Research Center, Brandeis University, USA, titled Tiger by the Tail, Women Artists of India Transforming Culture in 2008. Dr Zehra Jumabhoy is an art critic and art historian specializing in contemporary South Asian art. Zehra received a Joint Honours BA in English Literature & Philosophy from Durham University (2001), a Masters in English Literature & Philosophy from Warwick University (2003) and a Masters in Art History from the Courtauld Institute of Art (2006), where she was awarded the Stavros S. Niarchos Trust Scholarship. Prior to her doctorate, Zehra lived and worked in Bombay, where she was editor of the Visual Art section for Time Out Mumbai and subsequently Assistant Editor at ART India, the country’s premier art journal. She has written for Frieze, London; ArtAsiaPacific, New York, and contributed to various publications on contemporary art by Phaidon. Her book, The Empire Strikes Back: Indian Art Today, was published by Random House, London, in 2010. Zehra continues to be a regular reviewer for Artforum, the London Correspondent for ART India and to write for Art Review Asia. 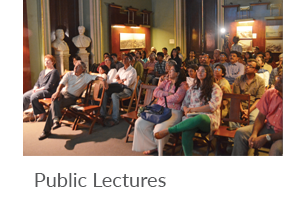 She co-organizes Contemporaneity in South Asian Art, a Seminar Series at The Courtauld’s Research Forum. Latika Gupta has worked as a curator at the National Gallery of Modern Art and at KHOJ International Artists' Association in Delhi, besides curating independent exhibitions of South Asian contemporary art. She curated 'Homelands: A 21st century story of home, away and all the places in-between' drawn from UK's British Council Collection and Arts Council Collection, that toured Delhi, Mumbai, Bangalore, Kolkata, Colombo, Lahore and Karachi; 'Folk Archive' by Jeremy Deller and Alan Kane that toured Delhi, Mumbai and Kolkata, and most recently 'Jeevanchakra', Kolkata, 2016, as part of the Wellcome Collection's Medicine Corner project in India. She has received fellowships from the Charles Wallace India Trust and the Nehru Trust for research projects on Himalayan art and a Museum Fellowship from the India Foundation for the Arts and INLAKS to curate a permanent exhibition for a museum in Kargil, Ladakh. Recent publications include an essay in the Journal of Ritual Studies, and essays in 'Postdate: Photography and Inherited History in India' (University of California Press). She is a doctoral candidate at the School of Arts and Aesthetics in JNU, working on the material culture of Tibetan Buddhist rituals. Gupta currently works as Associate Editor at MARG publications. Deepthi Sasidharan is a Fulbright scholar and the Founder Director of Eka Archiving Services, a museum advisory firm with over ten years of executing successful cultural projects in India and abroad. She began her career as a lecturer at the Center for Heritage Studies, CUSAT, Kochi teaching Museology and Heritage Studies. Deepthi works with museums and archives primarily in planning projects and developing and implementing collection management systems. She has curated several exhibitions for private and government collections including those at the Salar Jung Museum, Hyderabad and recently Indira: A Life of Courage Indira Gandhi Memorial Trust, New Delhi. She continues to teach and organize training workshops across the country for museums organisations and multinational corporations. Besides different aspects of museology, Deepthi is passionate and has published extensively on 19th and early 20th century photography.